Add fresh fruit to a large pitcher. Combine all the remaining ingredients separately, then add to fresh fruit and stir to combine. Refrigerate until cold. The longer the sangria sits, the more flavor it will have, so I recommend making it the night before (or even a full day ahead). To make this even more festive, add a fresh sprig of rosemary or thyme! Orange juice can be used in place of the apple cider. 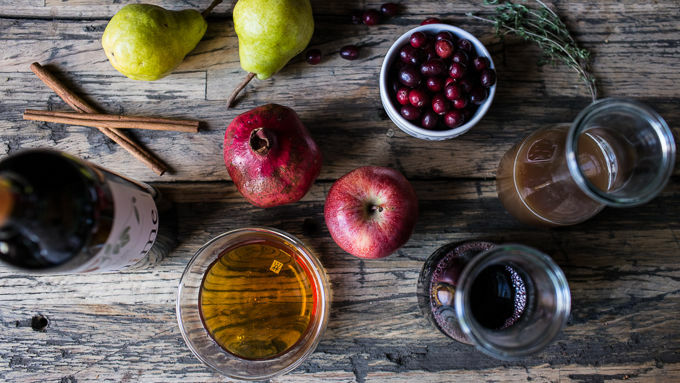 Make this easy sangria for your holiday party—it’s easy and festive. Is everyone ready for the Christmas season? 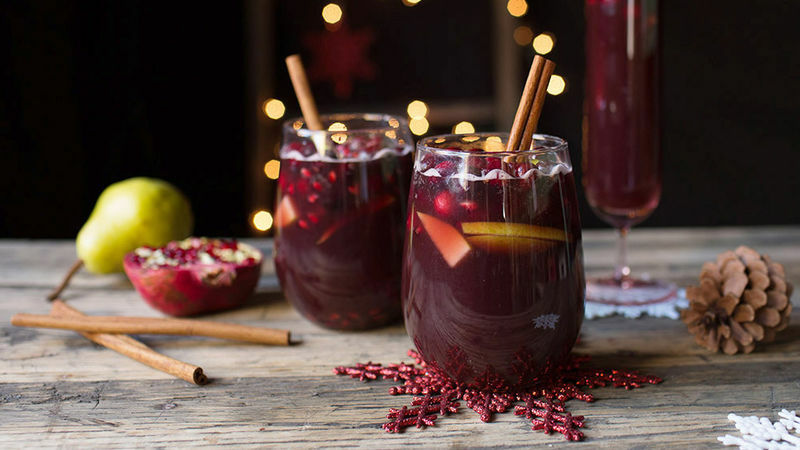 Clearly I am—and I’m kicking things off with this festive and delicious holiday sangria! It’s the perfect drink to sip all December long, but especially ideal for all of your holiday parties. We always have A LOT of guests come December. And I’m not just talking about during the week of Christmas, I’m talking all month long! Our house is continually full of people and I don’t think I’d have it any other way… although it can drive me crazy at times. Therefore, I need to be prepared. Having a festive drink on hand is pretty much a necessity, especially with guests popping in all the time. 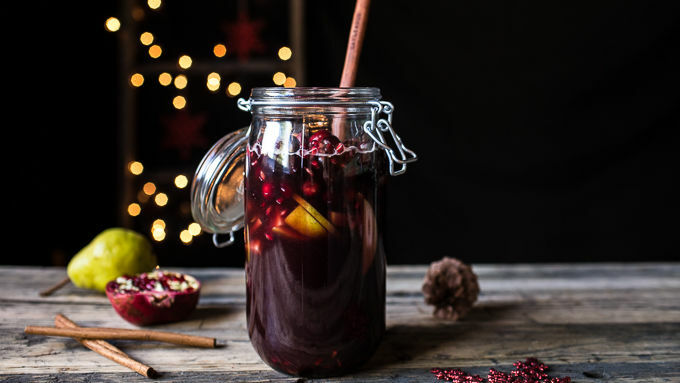 As a result, in the month of December, this sangria is pretty much a permanent fixture on the shelf in my fridge… and it’s always a hit with everyone! I also make it on Christmas Eve and I do think it’s my cousin’s favorite part of the evening… and with good reason. To make this even more festive, add a fresh sprig of rosemary or thyme! For a change in flavor, add orange juice in place of the apple cider. Got to love how easy this is to make. Now drink up and be merry, and have a wonderful Christmas season!